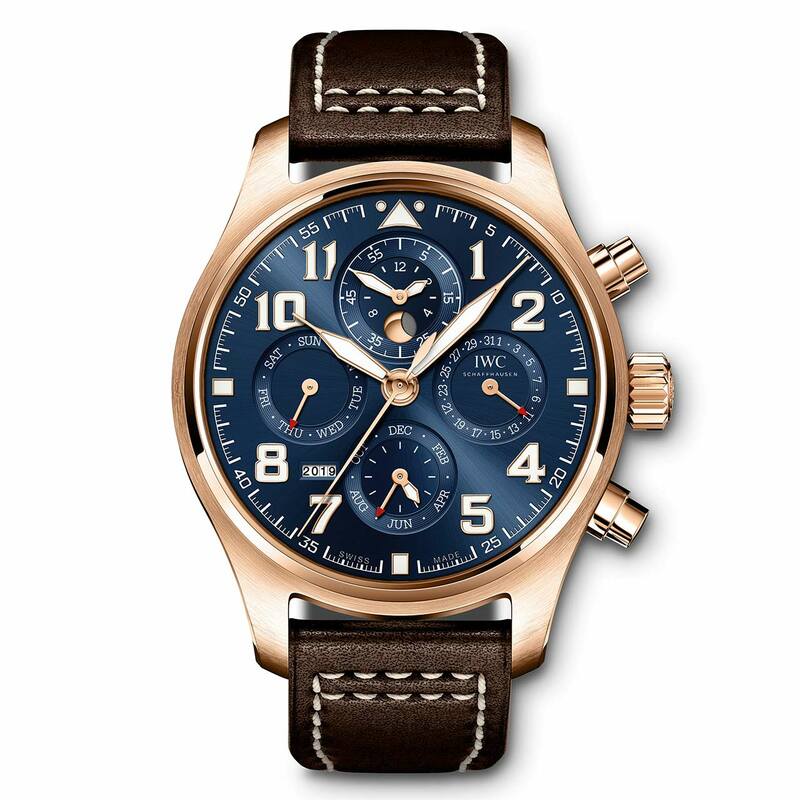 SIHH 2019: IWC - Pilot’s Watch Perpetual Calendar Chronograph Edition "Le Petit Prince"
As a partner of the Fondation dedicated to the famous French pilot and author since 2008, IWC created the "Antoine de Saint-Exupéry" special edition of its Pilot’s watches, which this year is further expanding with the Pilot’s Watch Perpetual Calendar Chronograph Edition “Le Petit Prince”. This is the first model in the Pilot’s Watches collection to combine a perpetual calendar with a chronograph function. 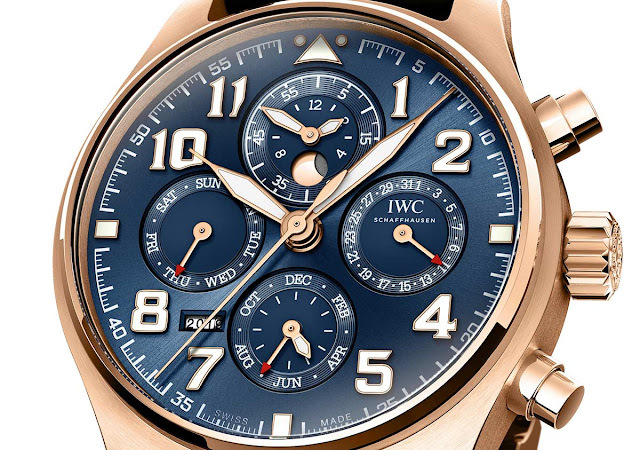 Measuring 43 mm x 15.9 mm, the 18 carat red gold case frames the dial characterised by a midnight blue colour - a distinctive feature of all the IWC watches that are part of this special edition - and red gold hands. Visible through the sapphire crystal case back, the self-winding IWC- manufactured calibre 89630 beats at at 28,800 vibrations per hour and guarantees a power reserve of 68 hours. 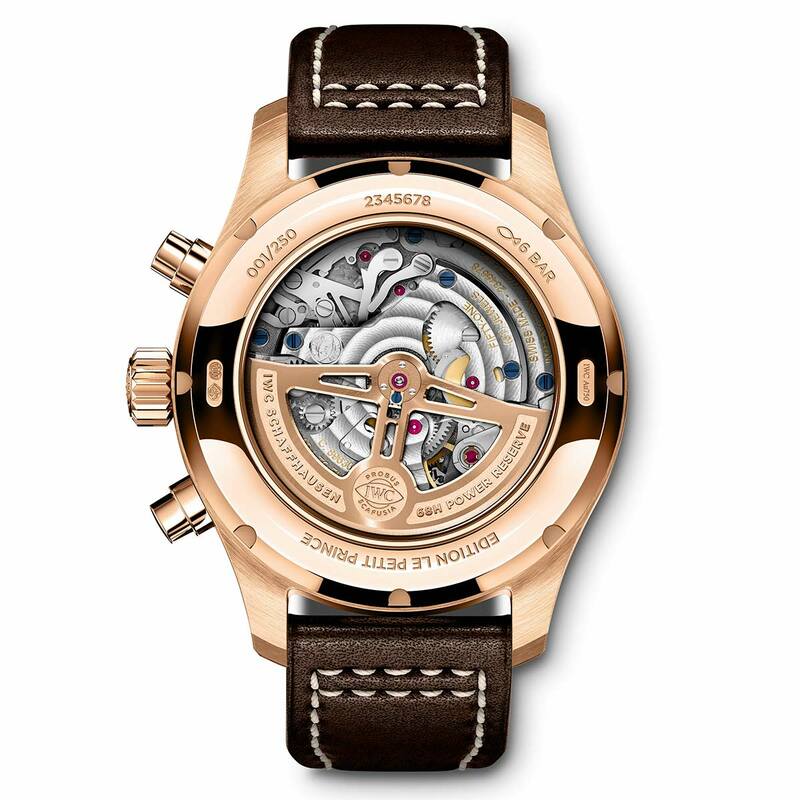 The 18 carat gold oscillating weight is skeletonized for better display of the mechanism. The perpetual calendar mechanism developed by Kurt Klaus in the 1980s automatically detects the different number of days in the month as well as leap years. The mechanism, which is built from just 80 or so parts, will work until 2100 without needing to be adjusted. The displays for date, day, month, moon phase and year are synchronised and can be easily adjusted via the crown if the watch is not worn for a prolonged period. 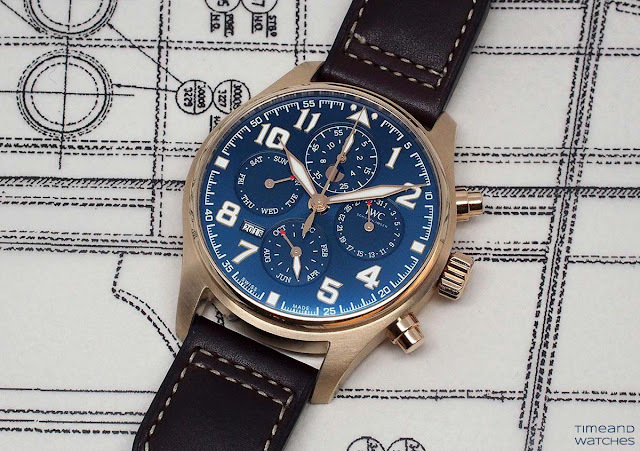 The moon phase display for the calendar is integrated into the hour and minute chronograph counter at "12 o'clock". 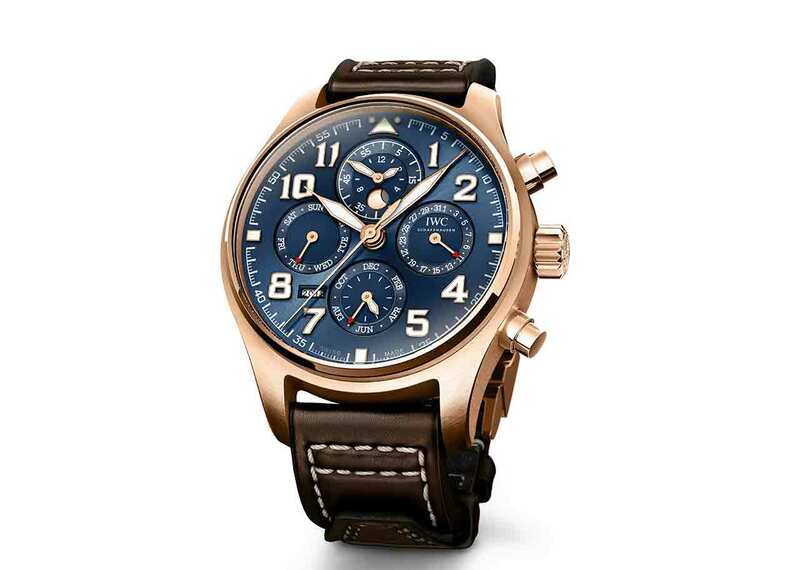 Time and Watches: SIHH 2019: IWC - Pilot’s Watch Perpetual Calendar Chronograph Edition "Le Petit Prince"
SIHH2019: SIHH 2019: IWC - Pilot’s Watch Perpetual Calendar Chronograph erewf 392202 with specs and price.IWC is expanding its "Antoine de Saint-Exupéry" special edition with the Pilot’s Watch Perpetual Calendar Chronograph Edition “Le Petit Prince”. This is the first model in the Pilot’s Watches collection to combine a perpetual calendar with a chronograph function. 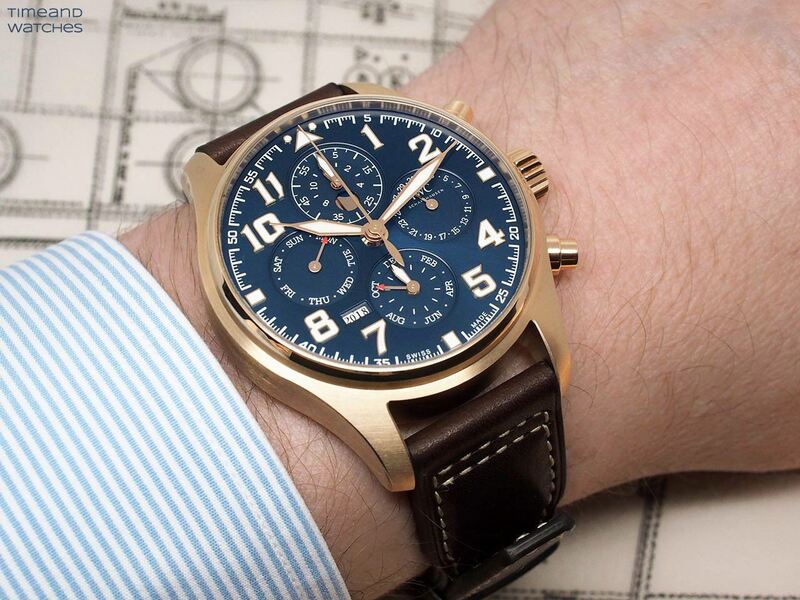 Only 250 pieces of the IWC Pilot’s Watch Perpetual Calendar Chronograph Edition "Le Petit Prince" (ref. 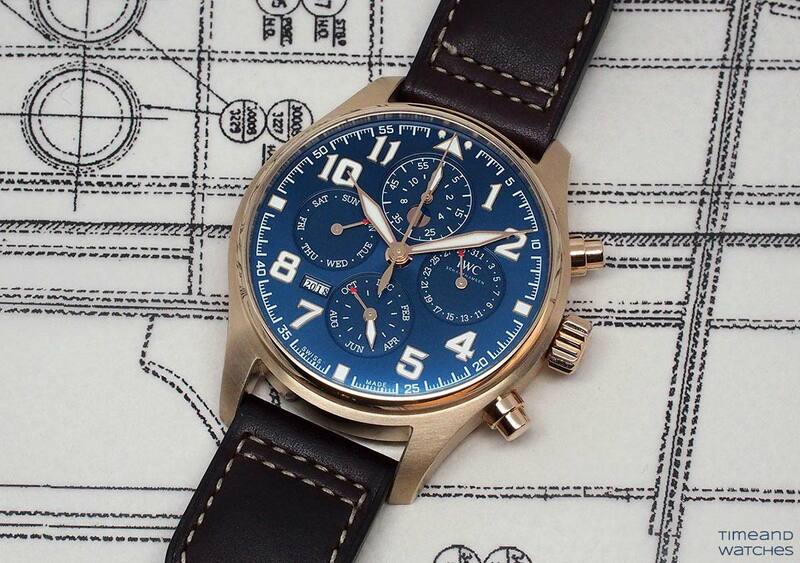 IW392202) will be produced.